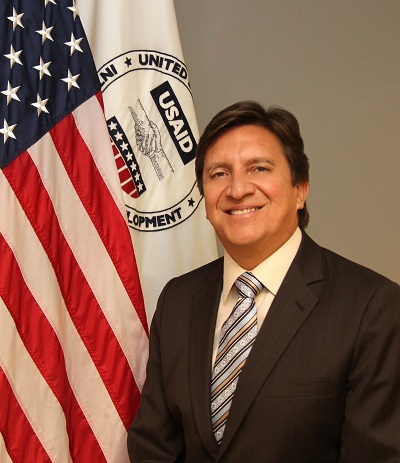 Mauricio P. Vera is a career member of the Senior Executive Service and serves as the director of the Office of Small and Disadvantaged Business Utilization (OSDBU). In this role, Vera leads USAID’s efforts to provide maximum opportunities for small, disadvantaged, women-owned, service-disabled veteran-owned and HUBZone small businesses to participate in USAID contract awards through outreach, education and creative procurement initiatives. The following two-part interview published in the January and February 2014 editions of Federal Allies News highlights the work of Mauricio P. Vera, an early supporter for the formation of the Federal Allies Institute. Federal Allies: Tell us about the OSDBU Conference. We understand the outreach and public relations aspects that help to establish and build relationships and that it is a great annual resource for all agencies especially the smaller agencies. How do the smaller agencies reach out across America to small businesses that for one reason or another cannot travel or afford fees associated with a major exhibition in Washington, DC? Vera: We recognize that small businesses do not have enough resources or time to attend a lot of conferences, what we do in my agency is monthly Vendor Outreach Events. Many other agencies do the same thing. Basically, about once a month, we invite small businesses to spend half a day with us to learn the basics of doing business with USAID. We usually structure these sessions around different themes. For example, we are doing one next month related to infrastructure projects around the world. We’ve done them on health, agriculture, and a lot of technical areas that USAID works on. Sometimes we do them with a different focus – targeted to Women Owned Businesses, Veteran-Owned Businesses, or whatever it might be. 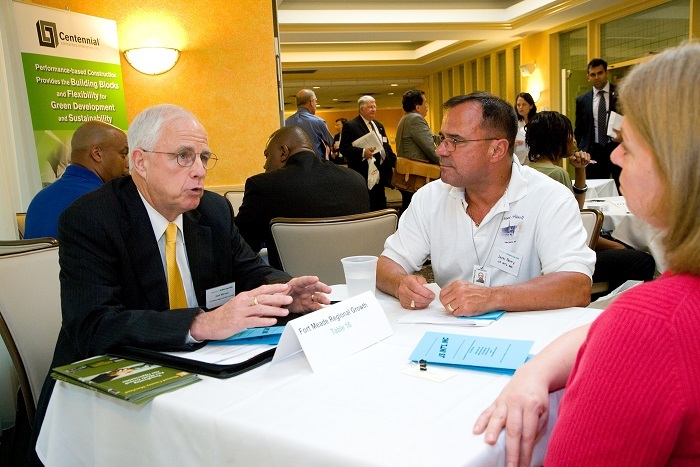 In addition to monthly Vendor Outreach Events held in Washington, DC, we also have an annual Small Business conference, which in the coming year will be our 7th annual conference and that’s on May 22nd, 2014. This is a one day event; and we do our best to keep the registration fees very low. We invite our senior leadership as well as the working levels. We have business match making. Last year we had a Congressional member as well as our Administrator provide remarks; we also had the Administrator of OMB’s Office of Federal Procurement Policy, and we have panels and workshops to assist the businesses. You can find details about these events through the internet and our websites. People should know about www.osdbu.gov that has the links to all the agencies OSDBU offices and this is a good way to find out about many upcoming outreach events. Federal Allies: For our beginners, many businesses utilize inside-the-beltway federal contracting consultancies. When are advisors necessary and when are they not? If someone wanted to become a federal contractor by themself and stay abreast of current trends, procedures and rules, is the information all available for free and how much time do you estimate that it takes to become proficient at federal contracting? Vera: Most of the information out there is free. I would recommend businesses not immediately hire the consultants, you can do a lot of research on the internet, go to the agency websites, there are a lot of organizations like U.S. Small Business Administration (SBA) as well as Procurement Technical Assistance Centers (PTACs), which we all recommend particularly for startup firms – it is a very inexpensive way to learn the ins and outs of the federal contracting world. What I always tell businesses when they come to me is that I think they should target a specific agency. Do not target everybody, depending on what type of services they provide they should target a small number of agencies and then really try to learn what the needs are of that agency by looking at the business forecast, by attending those agencies Outreach Events, getting to know some people, networking, all of which are critical. You cannot just wait for the opportunities to be posted on http://www.fbo.gov and then just respond, you really have to learn what the agencies are looking for and meet some of the current contractors, because small businesses that are successful usually start out as subcontractors. The best way to get on the teams is by getting to know some current players who have been already successful marketing to the agency. And lastly, joining a trade association can sometimes be helpful. For example, at USAID, many of our contracts are for technical assistance in the technical areas that we work in. So to help us identify those niche firms that work in international development, we work closely with the Small Business Association of International Contractors (SBAIC). This is a group of about 100 small businesses that mostly specialize in international development work. For other agencies there may be other specialized types of associations that they work closely with. Federal Allies: Your career includes work at Smithsonian, Nuclear Regulatory Commission and for the past six years at USAID. Care to weigh the differences of working at one agency versus the others? Vera: There are a lot of differences. Obviously the requirements are very different. At the Smithsonian, most of the contracts were for exhibit design and construction, and we awarded many engineering and constructions projects, because the buildings were constantly being renovated. At the Nuclear Regulatory Commission, there were a lot of engineering and IT type projects, so we looked for those kinds of firms. Both of these were much smaller agencies; each had procurement budgets of about $150 million to $200 million a year. USAID has a much bigger procurement/acquisition budget and of course the biggest differentiator is that USAID is a world-wide agency. USAID currently has missions in over 80 countries around the world. For contracts that are awarded overseas, the regulations are very different, particularly when it comes to the use of small businesses. The requirements are also very different, most of our dollars go out as technical assistance projects related to the areas that we work in– health, agriculture, democracy and governance, economic growth, there are about eight to nine different particular areas that we work in. As far as our domestic awards, most of those are to support our administrative functions here in US, where we have our headquarters. Our overseas requirements are usually about the implementation of our work. Federal Allies: What security levels are required for your acquisitions, if any? Vera: Most of our contracts are sensitive in nature and require personnel security clearances and facilities clearances consistent with clearance and access requirements of the contract. The security level required really depends on the requirement. On occasion we encourage our prime contractors to sponsor subcontractors for their clearance, especially with the small businesses, because when the small businesses outgrow their size status we encourage them to mentor smaller firms, and one thing they can do is to sponsor them for the security clearance. To be continued in the February 2014 edition of Federal Allies News. 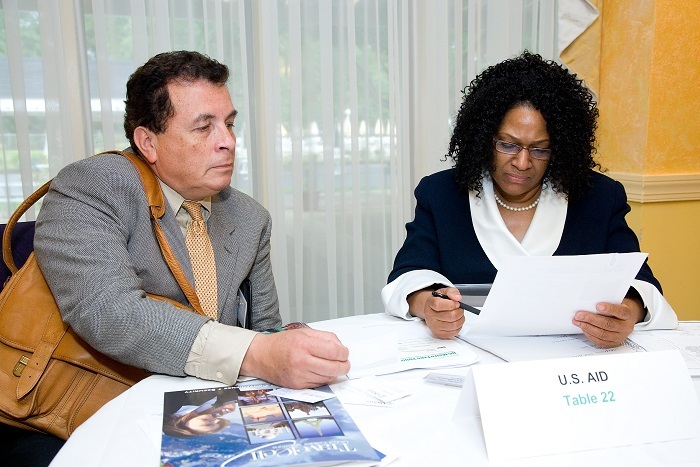 FROM THE ARCHIVES: Daisy Matthews consults one-on-one with Small Business Owner at a Federal Allies national conference “Washington’s DC Metro Expo” held at Fort Myer, Virginia in 2009. Ms. Matthews serves USAID as Small Business Specialist, Bureau for Democracy, Conflict and Humanitarian Assistance POC, Bureau for Global Health [except Supply Chain Management) POC, Bureau for Europe & Eurasia, Bureau for Legislative and Public Affairs POC, Office of Civil Rights and Diversity POC, Office of Human Resources POC, and Woman Owned Small Business POC. FROM THE ARCHIVES: Col. Kent Menser USA (Ret.) of the Fort Meade Regional Growth Management Committee discusses federal contracting in Howard County, Maryland at the 2009 Federal Allies national conference, Fort Myer, Virginia. advises Small Business Entrepreneurs on how to do business with Howard County, Maryland. Col. Menser recently announced his return to the private sector March 31, 2014.